Two episodes from "Game of Thrones" will make their IMAX debut later this month. "Game of Thrones" is coming to an IMAX theater near you. HBO announced Tuesday that two episodes from its wildly popular fantasy saga "Game of Thrones" will be getting the IMAX treatment for one week later this month. The epic series will be the first TV show to be released in this format. 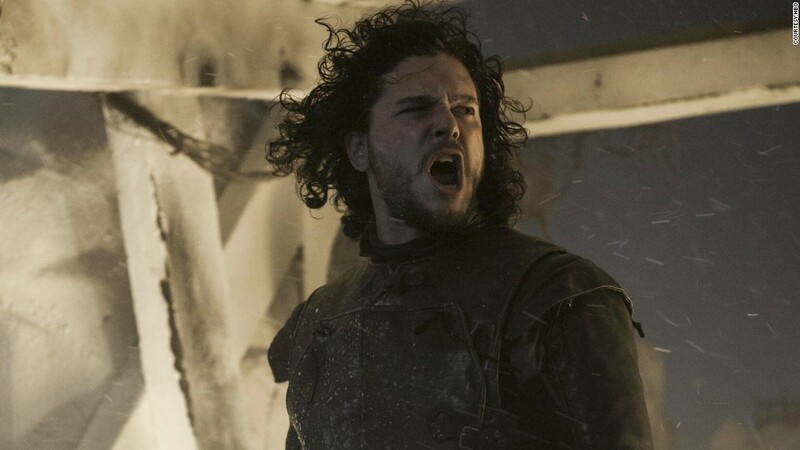 Last season's finale "The Children" and the penultimate episode "The Watchers on the Wall" will be digitally remastered to be released in over 150 IMAX theaters nationwide on January 23. Fans will also get a sneak-peek at an exclusive trailer for the upcoming season five. "We couldn't think of a series more fitting than 'Game of Thrones' to be the first presented in IMAX," Greg Foster, senior vice president at IMAX (IMAX) Entertainment said in a statement. The HBO series is one of the most ambitious shows on TV in both scope and budget, which makes it most apt for the big screen. Even "Game of Thrones" author George R.R. Martin has harbored such hopes. He spoke last year about the potential for a multiplex finale. "It might need a feature to tie things up, something with a feature budget, like $100 million for two hours," Martin told The Hollywood Reporter. "Those dragons get real big, you know." For now, though, fans will have to settle for IMAX to get their dragon fix. The new season of "Game of Thrones" is expected to return to HBO sometime in April.